He is one of 40 interns who went through orientation in preparation for the Monday start of a seven-week camp for 500 kids. The interns come from the U.S., Canada and England. "Ernesto wants to work with children, to make an impact wherever he is, so he came to UrbanPromise. I'm excited for the kids to get to know him," said Jodina Hicks, executive director of the organization founded in 1988. Shakazulu's story is the stuff of movies and books. In fact, he began writing his memoir two months ago. His mother died when he was 3, and a succession of caregivers passed away. His 9-year-old sister — one of seven siblings — took care of him until she got married. At 11, Shakazulu landed a job taking care of a yard in Lilongwe. He took what little money he earned from landscaping and bought five doughnuts at a bakery. He resold the doughnuts, and put the money back into the business, adding more doughnuts to his inventory each day. He reached 65 doughnuts when someone stole his stash and put him out of business. In the meantime, he slept in places such as a cardboard box under a disabled bus. "He scoured reeking trash heaps for discarded scraps. He was an orphan with no future other than prison or an early grave," wrote UrbanPromise President Bruce Main, one of Shakazulu's early supporters. An UrbanPromise worker found Shakazulu and introduced him to an after-school program and offered him a place to stay in one of their orphanages, the SafeHaven Home for Boys on the outskirts of Lilongwe. SafeHaven enrolled Shakazulu in school and nourished him with three meals a day. He flourished. "I no longer lived on the streets. I was one of seven kids in SafeHaven," said Shakazulu, who is visiting Camden for the first time. He got tossed out of school for drinking beer. "It was not acceptable to do that," he said of the infraction. Upset with himself, Shakazulu pecked out an email to an American family he knew living in the area, begging for help. He promised not to repeat the habit if they would send him back to school. They did, and he passed the high school exam. 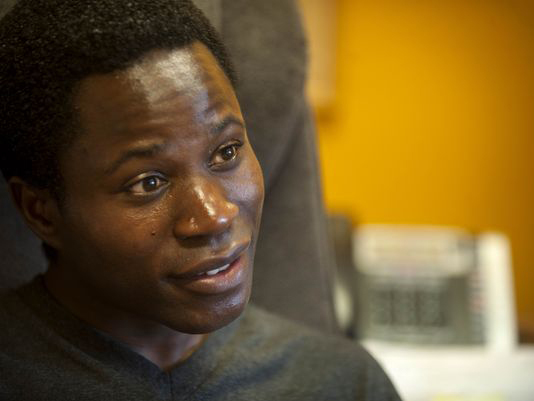 "Main told me to apply to Azusa Pacific University in Los Angeles, his alma mater. He said, 'You won't regret it,' " Shakazulu said. A few miracles, some scholarships and a couple of generous benefactors later, Shakazulu enrolled as a freshman in 2013, with a major in economics. 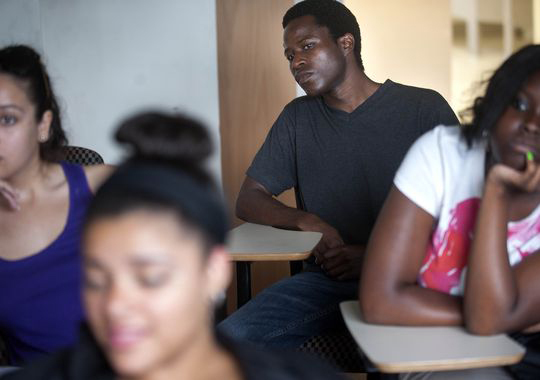 Now a junior, the 24-year-old plans to graduate in December 2015. "I want to go home when I graduate and invest in a business to help raise money to build a school and hospital for my village, Mtengowagwa," he said. "I will create employment." He also hopes to make a difference as a political leader in the small African country. "I want to be the Malawi president one day." Hicks calls Shakazulu a miracle. "I cannot believe his life story," she said. "He is grateful to look at life through the lens of gratitude. He is a boost for young people to whom just eating a meal is a luxury. We hope for many more Ernestos in the future." 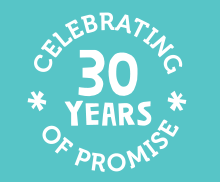 In addition to Malawi and Camden, UrbanPromise serves children in Wilmington, Del. ; Trenton; Miami; Vancouver, British Columbia; Toronto; Honduras; and Uganda. Young college grads run the various agencies under the UrbanPromise umbrella. "We have six organizations in Malawi and one in Uganda and they are all thriving," Creative Director Shannon Oberg said. Replied Hicks, "Our motto is, 'Give them the tools and start-up funds to save the country.' "
Like Shakazulu, intern Ciaran Grant, wants to help out his hometown of New Castle, England. "A lot of good will come out of this experience. I don't know what I want to do, but I want to give my life to New Castle," said the 18-year-old who just graduated high school. Though only here a few days, Grant called the orientation this week "absolutely incredible." He will help kids with basketball, take them fishing on the Delaware and pursue other recreational activities. "It's a big adjustment being here; there's lots of poverty," said Grant, who comes from a gritty place in Northern England where so many end up in jail or into drugs. "I'm a little nervous, but more excited. I don't want the seven weeks to go fast." When Bruce gave me the chance to design our high school ministry in 1994, I knew employment had to be at the center of what we would do. UrbanPromise’s Senior Club was very popular back then, with over 120 teens coming weekly and sometimes daily to youth group and service projects. But most of the teens had dropped out of school, and many were selling drugs. These kids, with so much stacked against them, are forever imprinted in my heart and memory. They were thrust into adult roles and responsibilities, with little resources or help. Most of them did not have hope for a future different from what they saw around them, most did not believe they could get a job, and college was not in what they perceived as the realm of possibilities. And yet, they had so much potential! Out of their realities and needs, the StreetLeader program was born. Twenty years later, the same conditions exist. Annie, a senior in high school, works as a StreetLeader to pay her family’s utility bills. Recently, I overheard her telling a friend “It’s not that hard; all you need is a flashlight, bottled water, and a few blankets.” She was not talking about camping; she was talking about surviving without water, heat, and lights. She hadn’t been able to keep up with the bills. Dwayne, a junior in high school, is another motivated StreetLeader. He is charming, talented, kind, and an excellent student at Creative Arts High School. At 16 years old, Dwayne was emancipated after his mother and grandmother died. He is raising himself. Some things haven’t changed much in 20 years. But there is a crucial difference. Our young people have hope, and with hope come dreams and goals. Annie has known she will go to college since her sophomore year in high school. The question hasn’t been “if,” but “where.” She knows her life will be different, and she will not have the hardships that her parents have. She has tangible choices. Dwayne is focused on becoming a professional dancer after he finishes college. He makes smart choices and chooses great friends, surrounding himself with people who help him through this time in his life. These StreetLeaders know they can succeed because they have seen others do it. The policewoman that covers the UrbanPromise area is a StreetLeader graduate, as is an East Camden fireman and Madelyn Caba, the manager of Staples. Arlene Wube, a Howard University alumna, business owner, and UrbanPromise board member, returns to meet our teens. Albert and Tony Vega, Mark Goode, Jacob Rodriguez, and Tyshema Lane are all StreetLeader alumni who work at UrbanPromise. These people have attended universities all over the country, and they’re investing in the lives of young people. 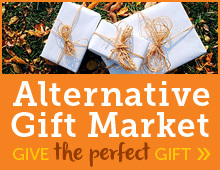 Providing meaningful alternatives to poverty and crime requires a significant financial investment. It costs $2,000/summer to employ a teen; $4,500 for the entire year. 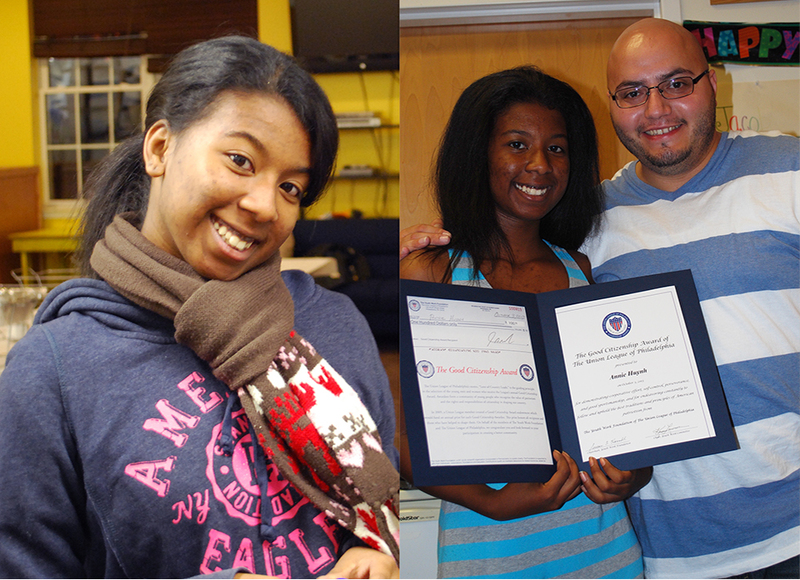 Since 1994, donors have invested in hiring 1,600 teens from Camden into the StreetLeader program. The program results are consistently high, with 100% of our StreetLeaders graduating from high school year after year, and over 90% going on to college. From the bottom of my heart, I thank these donors for the difference they have made in the lives of our young people. This summer, our goal is to hire 90 teens! I hope you will help us. When you support a StreetLeader, you provide much more than a job. You make hope real, dreams possible, and a productive future attainable. PS. I’d love for you to join me and a couple of our StreetLeaders. On July 1st and 2nd, we will be PADDLING for PROMISE, canoeing 50 miles down the Delaware River from Trenton to Wilmington to raise the funds to hire StreetLeaders this summer. To see how you can get involved, please visit www.urbanpromiseusa.org/paddle. 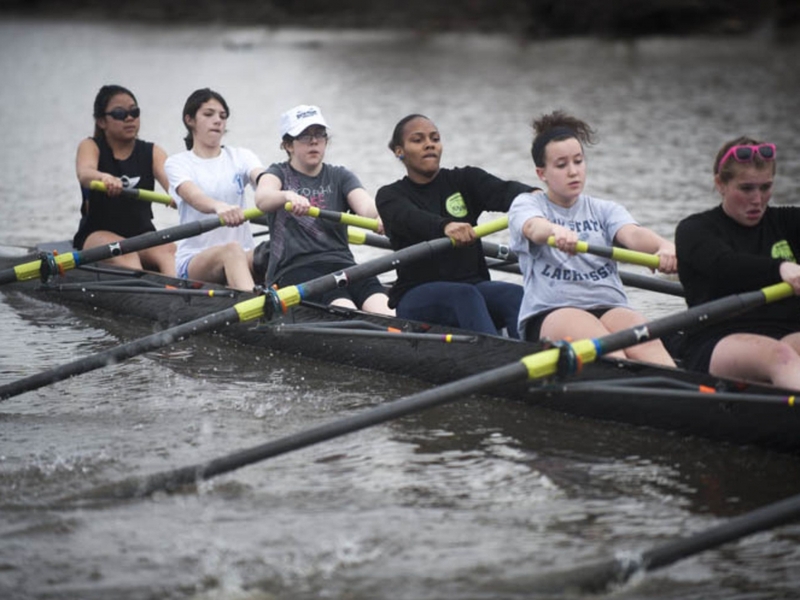 UrbanPromise's BoatWorks program was the starting point for Camden teen Siani Burgess' love for rowing. Siani Burgess didn't know picking up a canoe paddle would change the course of her young life. She smiles and shakes her head when asked about a photograph of her on the water for the first time last year. In the picture, Siani looks a bit shy, even timid. She sits awkwardly in a wooden canoe, but she smiles. She incongruously holds a powder blue umbrella — and a paddle. A girl who grew up surrounded by the waterways that define Camden, Siani had not only never been on water, she didn't much like to swim, either. Despite her height, basketball was a non-starter. A bit girly, she hates getting dirty and likes her hair and clothes just so. Tried soccer and karate — quit both after just a few weeks. Siani had the umbrella with her on a trip with Urban BoatWorks —an experiential program that exposes city kids to the outdoors —because there was a drizzle that day on the Rancocas Creek — and "I have African-American hair!" But the umbrella made going fast impossible. "I was like that," she explains, emphasizing the past tense. Something clicked that day, though. Siani put down the umbrella, grabbed the paddle with two hands, and put her arms, back and heart into making the canoe go. She's been going since. These days, she rows as fast as possible on the water. 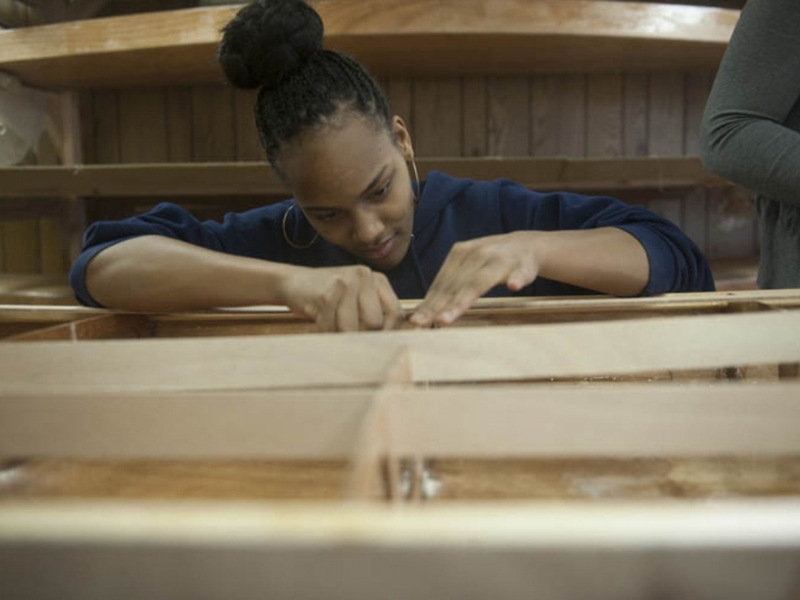 Siani was still reticent a few months later when she went to BoatWorks' hands-on, boatbuilding program. The workshop teaches kids how to build boats from wood. "I stand off," Siani says of how she reservedly approaches most new experiences. But over time, something clicked again. The girl who'd never in her life picked up a hammer or a screwdriver was soon using power tools. "I liked it," recalls Siani, flashing the radiant smile that comes to her when she considers things she's discovered about herself. It's like a moment you have. It helps you understand," she says of feeling the click slip into place. Next in her progression came signing up for crew with the South Jersey Rowing Club on Pennsauken's nearby Cooper River. By then, Siani knew some new things about herself: "I loved boats. I knew I loved water. I wanted to be in the water. Mom bought me a pair of sweatpants and signed me up." First, though, there was the matter of the $1,500 cost, a stretch for a single mom on a nurse's salary, like LaPree Burgess. "I've got to invest in my daughter," insists the 35-year-old ICU nurse at Cooper University Hospital on funding a season of crew. "I've got to give her a shot." Fact is, LaPree has invested her life in Siani since the girl was just 6 months old. That's when LaPree — just 21 at the time — put aside her ambition to become a doctor and took in Siani, a cousin who came to her in a court-ordered placement. LaPree knew then with her schedule and finishing college nursing classes she could serve as a lifeline only for Siani and not her siblings. It was the spring semester of her first year at nursing school. Some days, Siani got dropped at day care as early as 5:45 a.m. and picked up as late as 7:30 p.m., allowing LaPree to get some studying done before taking her baby home. LaPree's mother was nearby to lend a helping hand. LaPree's adoption of Siani became official in 2009. Maybe LaPree's long-term investment in Siani is why her the latter stuck with rowing despite initial unease. "When I first started, everyone was looking at me. It was like they were saying: 'Who is she? She's in the wrong place.' '' the teen recalled. "I was the only African American. The only black person. I felt intimidated. But I had it in my mind I was going to stick. "I told myself I'm gonna get in the boat and do it." "I'm walking on faith," notes LaPree. "Siani, she's walking on water." There's a full-circle aspect to Siani's involvement in BoatWorks, sponsored by UrbanPromise. Back when LaPree was also 14, she went to work at a summer camp sponsored by UrbanPromise. Her counselor was Jeff VanderKuip, a carpenter. Today, he volunteers as overseer of BoatWorks, showing Siani how to make boats. Ever protective, LaPree had sent Siani to UrbanPromise Academy, a private Christian school, rather than the Camden public schools. Next year, she moves to The King's Christian School in Cherry Hill. 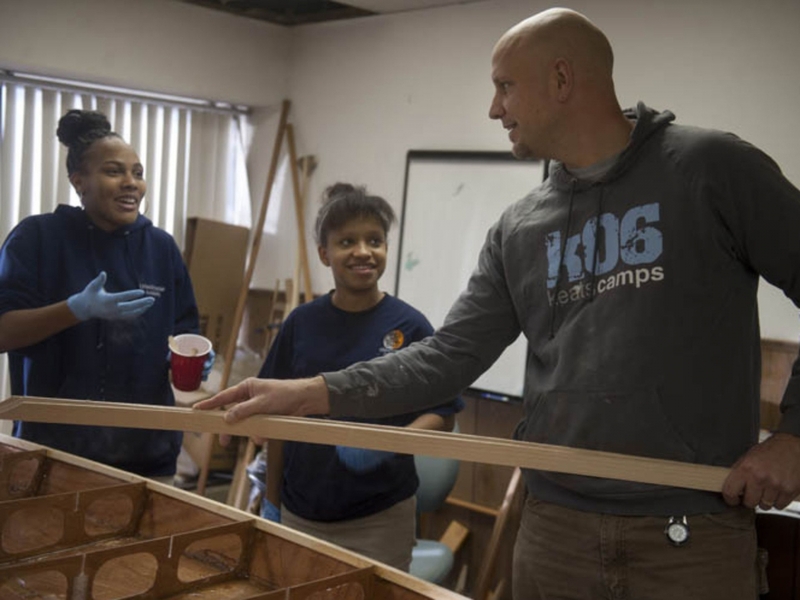 And while LaPree had previously gone through the UrbanPromise summer program, it was Siani who suggested going on the canoe trip and trying boat building. The building program began in the summer of 2009, according to founder Jim Cummings, a Pitman resident who sold his business and devotes his life to helping UrbanPromise youth. That first year, they built five rowboats, including three named Promise, Faith and Grace.